1. 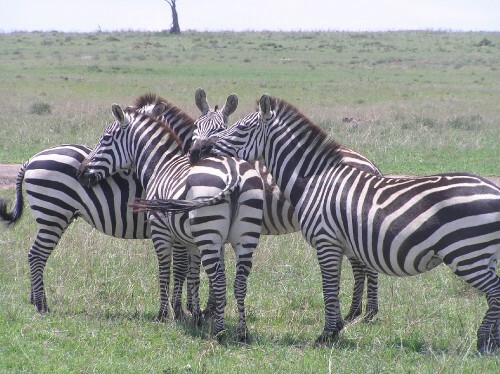 I am tres excited about seeing wildlife and stuff, cannot believe I might actually get to see zebra and elephant and stuff in real life, in the wild. AH. 2. Jabs are driving me insane, taking sooooo long to sort out... Will be on the phone to the doctors for god knows how long in the morning to try and get some information from them! 3. I went to a politics workshop today, where they were talking about ethnic clashes, and one of the main case studies was Kenya following the 2007 presidential election. It made me realise two things: a. I really need/want to learn more about the country before I go, especially from a politics point of view because I'm a meganerd like that. And b. That I'm terrified. Absolutely terrified. But shhhhh, don't tell anyone! Nerves and excited net are all coming at once. I have a feeling that this is going to be super big for me. Aaaand I love that fact.